If you’d like to improve your health, the holistic nutrition program at Impulse Health and Wellness may be right for you. 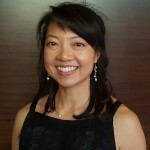 Fenella Wong, our holistic nutritional consultant, is here to guide you in eating foods that will help you meet your health goals. Learn how you can nourish your body, mind and spirit while enjoying delicious meals at the same time. What Benefits Might I Experience? We find that our clients see improvement in their health concerns and feel more educated and empowered with the resources Fenella provides. You may feel more energetic, have improved moods, greater vitality, sleep better and get more enjoyment out of eating. The first step in your nutritional journey begins with completing the intake forms available online. Once completed please email them to fenellawong@impulsehealth.ca. Fenella will then review and carefully analyze them and personally contact you to schedule your initial appointment. You’ll then sit down for 60-90 minutes to discuss Fenella’s recommendations that are tailored to your particular concerns. After about 6 weeks of following these guidelines, you’ll meet again to assess your progress. Meanwhile, Fenella can be contacted by email to address any questions you have. Fenella saw firsthand the effects of an individualized holistic nutrition program on her husband, who was going to compete in a CrossFit competition. It involved doing four workouts in a day, then being judged against 20 competitors in the same category. In the weeks before, they made a plan to optimize his nutrition, preparing his body to adapt to the stress of competing. The day before, however, he came down with a cold that could affect his performance. Fenella made changes to his foods ensuring he got nutrients that would support his immune system and athletic performance. The day of the competition, Fenella assessed her husband, watching for any signs of ill health, but he said he had great energy and felt good. He performed beyond expectations, finishing 8th in his division, and knew if it wasn’t for nutritional support, he might not have made it through the competition. She shifted careers, enrolling in an intense program at the Canadian School of Natural Nutrition. The program’s focus recognized the connection between body, mind and spirit, rather than just addressing the physical component. A heavy workload ensued that involved weekly examinations and written assignments, including a case study binder with real life clients who received an analysis and recommendations. The program required an 80% to pass, along with a 3 hour final certification exam. Fenella graduated with merit and later joined the Impulse Chiropractic team to bring a holistic approach to our patient care. 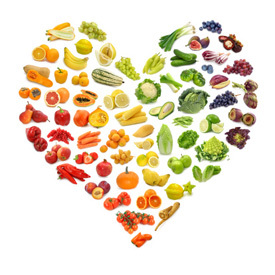 Are you wondering if holistic nutrition is right for you? Fenella offers complimentary, 15-minute consultations where you can ask questions and get to know us and our program. Contact us today to schedule your time!